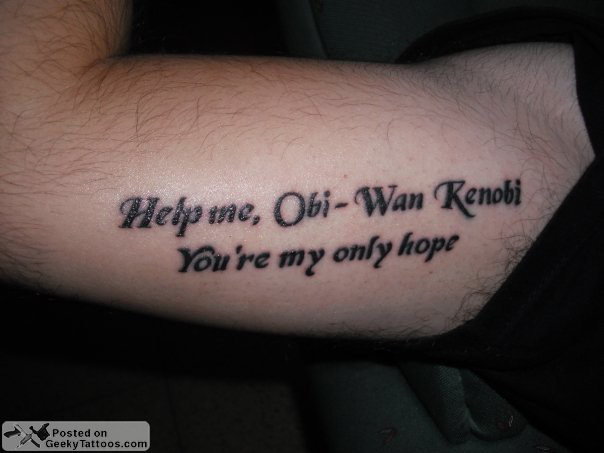 Time for another dive into the old Geeky Tattoos inbox to round up some of the tattoos readers have sent in. 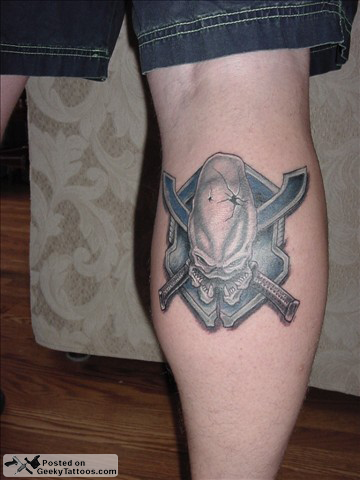 First up is Jim who shows off his calf tattoo of the Legendary symbol from Halo. He got it done in Vegas at Hart & Huntington. This one was sent in by Shy, with no explanation. 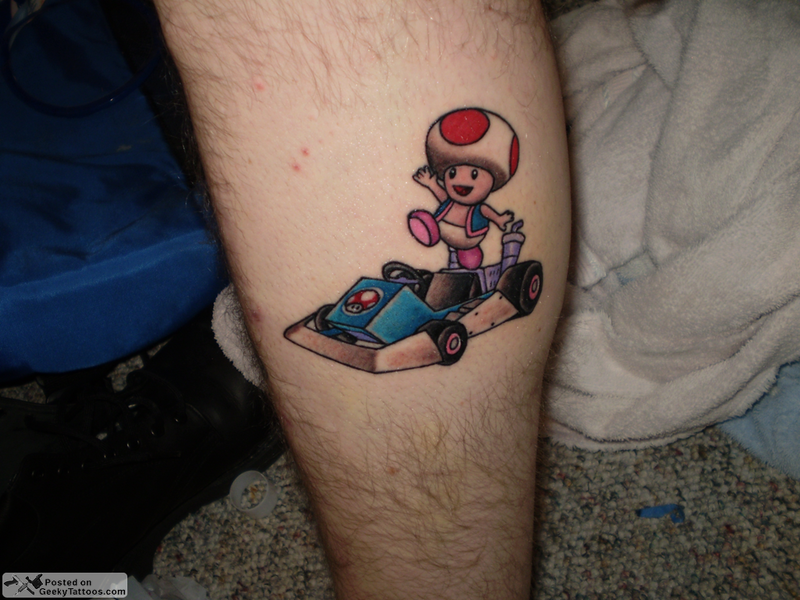 Jonathan sent in his two geeky tattoos of Darkwing Duck and Toadstool with his Kart from Mario Kart 64. 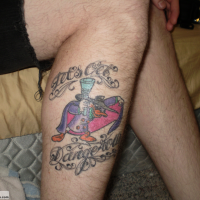 Did you know you can get Darkwing Duck on DVD now?! 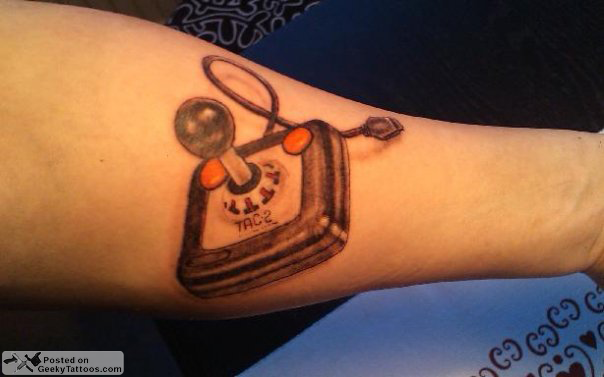 Toni’s got a totally accurate tattoo of the TAC2 controller on his arm. 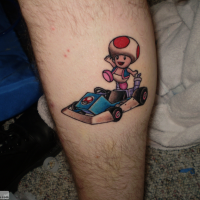 Tagged with arm, Atari, calf, Darkwing Duck, Halo, Hart & Huntington, Mario Kart, Nintendo, quote, Star Wars. That Halo Tattoo is so cool, I have played it alot but never thought about a tattoo of it. Nice work. 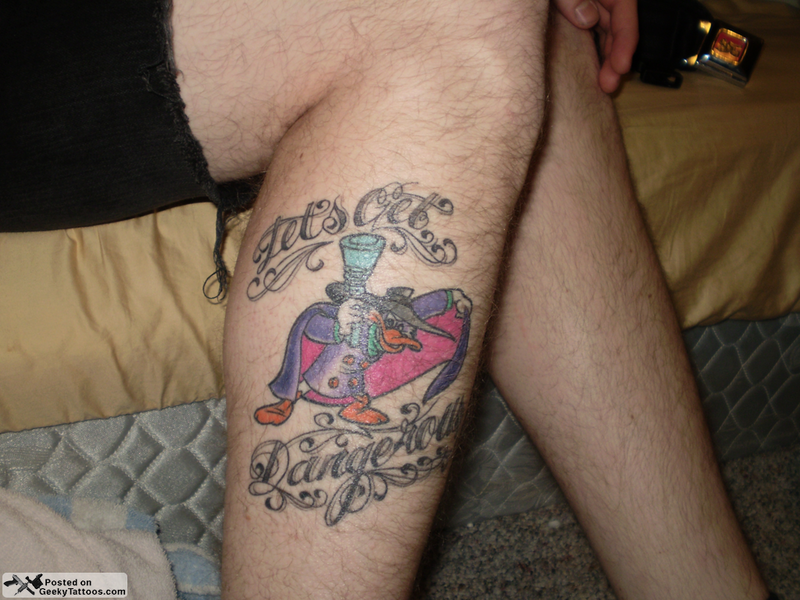 I f*cking LOVE Darkwing Duck!! Well done, sir!